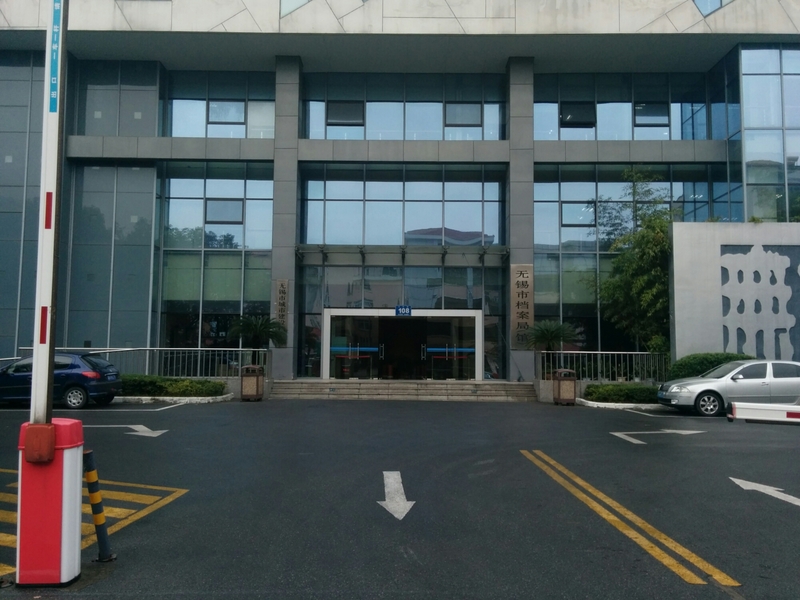 A review by Wuxi expert Toby Lincoln on DissertationReviews.org and some recent chatter on H-PRC tipped me off to an odd requirement of getting in the door at the 无锡市档案馆 Wuxi Municipal Archives: a letter of introduction from the Jiangsu Provincial Archives. It’s an almost universal truth that to get into a Chinese archive for the purpose of academic research, you need a letter of introduction from your host or affiliated institution. Wuxi Municipal Archives takes this requirement a step further by asking for a letter from your danwei as well as from the Provincial Archives. I spoke with the staff at the Provincial Archives earlier in the week and followed their instructions. 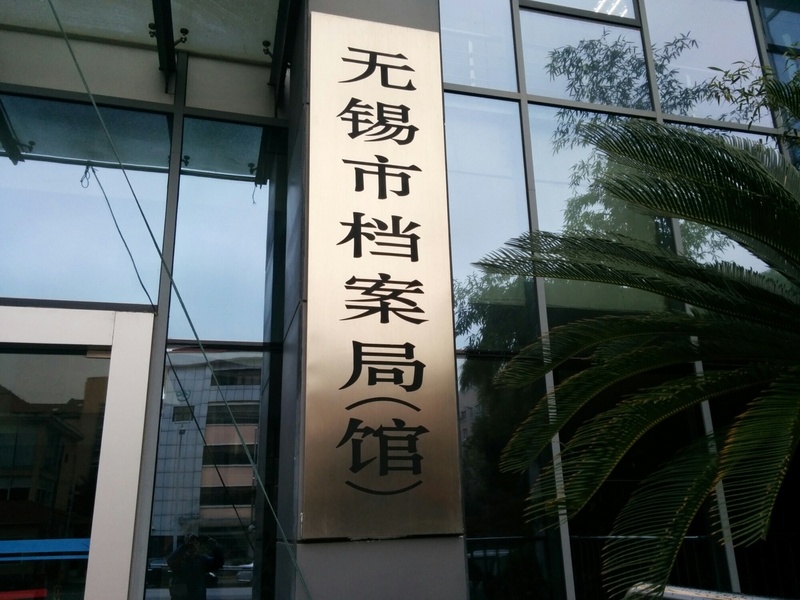 I prepared a letter to the Provincial Archives introducing myself, my research topic, the municipal archives in Jiangsu I wished to visit, and the types of materials I hoped to see. The lingdao in Nanjing considered this letter as an application and then acted upon it. He placed a few phone calls to Wuxi, Suzhou, and Changshu to tell the staffs to expect me and that the Provincial Archives had approved my research. I didn’t receive a letter from the Provincial Archives because I was told these oral instructions to the municipal archives were sufficient. When I showed up in Wuxi, the staff claimed to not know what I was talking about. They insisted that I needed a letter of introduction. 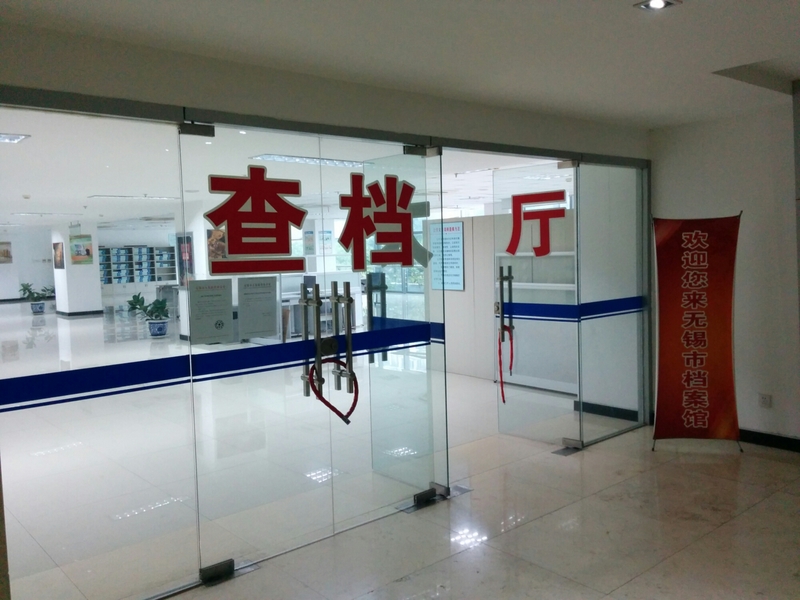 I picked up my cell phone, called Jiangsu, and handed the phone over–after a few minutes of chatting, the Wuxi staff relented and directed me to the paper catalogs. Like in the Nanjing Municipal Archives, I was disappointed to see how short many of the catalogs were. The indexes for the declassified files of a given danwei were sometimes only a page, with huge chronological gaps. It is completely transparent that information is missing because all folders are listed numerically. 1, 2, 4–wait, where’s folder 3?–5, 6, 7, 25–nothing between 7 and 25! ?… and so on. You don’t know what the missing folders are about, just that they aren’t accessible. I put together a request for about 15 folders. The files were delivered within 15 minutes and I was allowed to take the big stack of them to my desk all at once. I typed up my notes on my laptop, though I had to be mindful of battery life because there weren’t outlets convenient to any of the researcher desks (there is free WiFi though). It was a short research day. I ended up taking notes on only a half-dozen individual documents. After I returned the folders and as I was packing up to leave, the staff asked to see my notes. I was afraid they were going to start nitpicking the contents of what I wrote down, but instead they just wanted to make a record of the page numbers I looked at. I have no idea why. The archives is open from 9:00a.m.-11:30a.m. and from 1:00p.m.-5:00p.m. The reading room is on the 2nd floor. The Wuxi Municipal Archives might be worth a quick stop if you’re already in Jiangsu, but it’s not really a place you should expect to spend too much time in–at least for PRC history. The Jiangsu Municipal Archives has a lot more to offer and is even more accessible. The Wuxi Municipal Archives is located at 无锡市南长区文化路108号.